Throughout this site, the terms “we”, “us” and “our” refer to DarkStar Leatherworks Limited. This website, including all information, tools and services available from this site to you, the user, is conditional upon your acceptance of all terms, conditions, policies and notices stated. By visiting our website and purchasing our products, you engage in our service and agree to be bound by the following terms and conditions. You can review the most current version of the Terms and Conditions at any time on this page. We reserve the right to update, change or replace any part of these terms and conditions by posting updates and/or changes to our website. It is your responsibility to check this page periodically for changes. It is your responsibility to ensure that DarkStar Leatherworks motorcycle products are fitted properly according to the instructions provided. If the instructions/ procedure provided is not within your capabilities or you do not have the correct tools, have a qualified mechanic perform the fitting for you. We accept no responsibility for loss or damage to property or person from the improper fitting of our products. The description and prices for our products are subject to change without notice. We shall not be liable to you or to any third party for any modification, price change, suspension or discontinuance of the product/services. We aim to display the product images as accurately as possible, however as resolution, print methods and screen settings can affect how an item is displayed the accuracy of colours can not be guaranteed. As our products are made from natural leather the colours in the leather will vary slightly depending on the batch. We cannot guarantee the colour of the product is exactly as shown on the website, just as we cannot match products that are not from the same batch of leather. In the case of faulty workmanship of the product, DarkStar Leatherworks needs to be notified and arrangements made to return the product for inspection expeditiously. DarkStar Leatherworks will attempt to repair where possible, provided the product is not damaged due to wear and tear or mishandling (in accordance with DarkStar Leatherworks' standard warranty). All prices include VAT and are subject to alteration. If the product you purchase through our online store is being shipped out of the EU we will deduct the VAT at checkout. DarkStar Leatherworks cannot be held responsible for any charges that may occur outside the EU such as import duty or customs tax, as the recipient it is your duty to pay these charges. All products are subject to availability. We handmake all our products in our workshop and will contact you as soon as possible if a product purchased is currently unavailable and will offer you the choice of waiting, cancelling or changing your order. Certain products and services may be available exclusively through the website. These products or services may have limited quantities and are subject to return or exchange only according to our Return Policy. We reserve the right to limit the quantities of any products or services that we offer to any person, geographic region or jurisdiction. We reserve the right to discontinue any product or service at any time. Any offers for any product or services made on this site is void where prohibited. You agree to provide current, complete and accurate purchase and account information for all purchases made at our store. You agree to promptly update your account and other information, including your email address and credit card numbers and expiration dates, so that we can complete your transaction and contact you where necessary. Payments are processed in GBP. The actual price charged to overseas customers will be subject to the exchange rate. The presentation and promotion of products in our online store does not constitute a binding offer for sale, we reserve the right to refuse any order you place with us. When you place an order via our online store you agree to our Terms and Conditions. We may limit or cancel quantities purchased per person, per household or per order. These restrictions may include orders place by or under the same customer account, the same credit card, and /or orders that use the same billing and / or shipping address/phone number provided at the time the order was made. We reserve the right to limit or prohibit orders that, in our judgement, appear to be placed by dealers, resellers or distributors. DarkStar Leatherworks Limited is a registered company in England and Wales. Company number 9832191. Registered office: 132-134 Great Ancoats Street, Manchester, M4 6DE. VATnumber - 234797671. 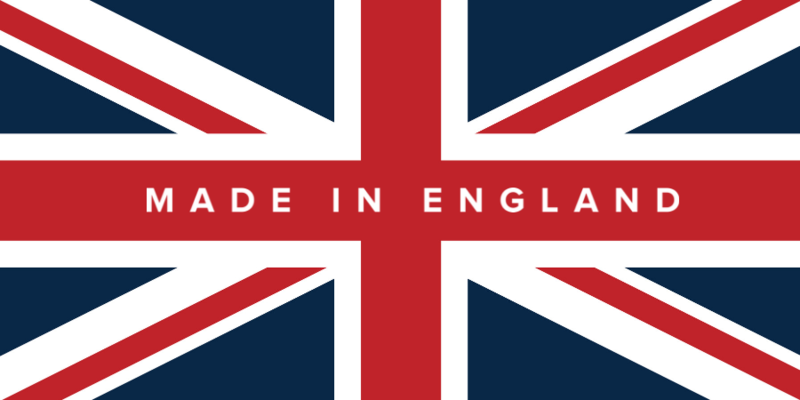 DarkStar Leatherworks and Made in England asset logo is a Trademark of DarkStar Leatherworks Limited. All associated Intellectual Property, including text, product names and descriptions, imagery, brochure and website design remain the property of DarkStar Leatherworks Limited and cannot be reproduced, duplicated, sold or exploited without prior written consent by us.